What impact did Rousseau have on understandings of gender? Why was he subject to criticism? 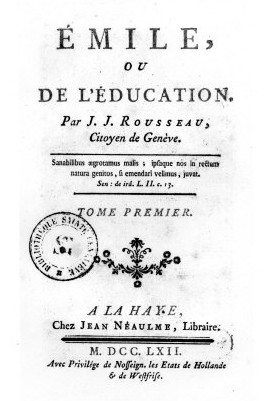 What were Rousseau's views: on boys/girls education? on marriage? on the family? on gender relations? Did women have an Enlightenment? What role, if any, did men have in the making of British feminism? E. J. Climenson (eds), Elizabeth Montagu: the queen of the blue-stockings : her correspondence from 1720 to 1761. Caroline Franklin, 'Enlightenment feminism and the bluestocking legacy' in Devoney Looser (eds) The Cambridge companion to women's writing in the Romantic period.